Wooden utility power poles must be chemically treated to protect against pests, rot, and decay. 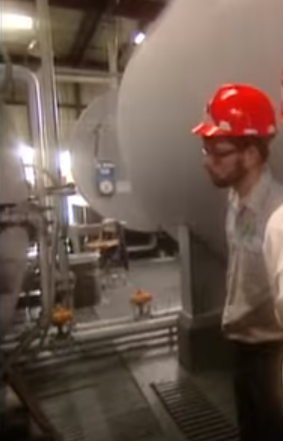 The manufacturing process to apply the chemicals requires heat, vacuum, pressure, and harsh chemicals. The pressure treatment process varies everything from full vacuum to prepare the poles to accept the treatment, to positive pressure and elevated temperatures (using steam) to force the chemical treatment into the pole. 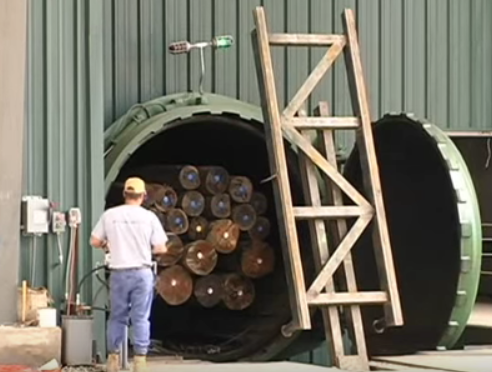 The steam line at one plant was unreliable and very expensive. It was costing the plant about $4000. 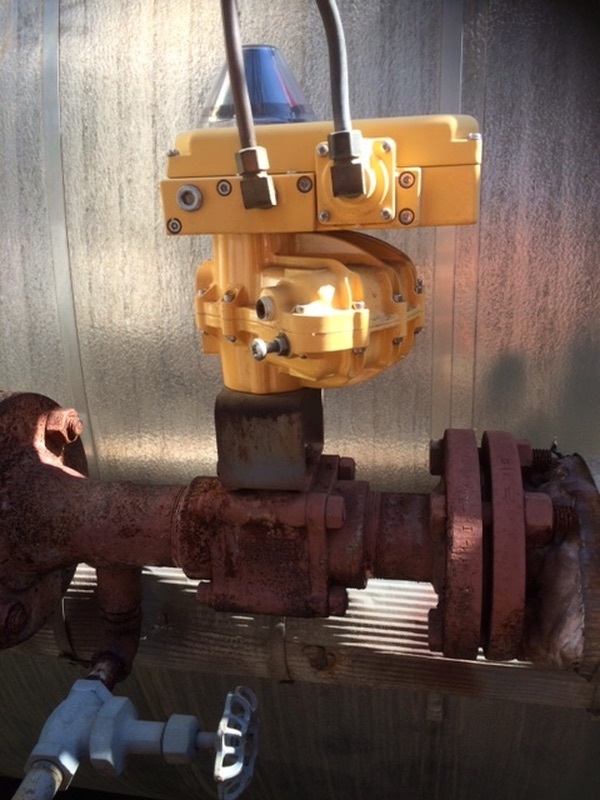 To help come up with a better, more economical solution, a Kinetrol USA Distributor was invited in and specified a Kinetrol actuator, positioner and custom brackets for the existing steam line valve. 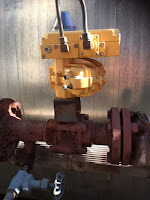 Actuators on chemical feed lines. The retrofit was completed with the new Kinetrol actuator and positioner at a fraction of the previous actuator package cost. The customer was delighted the Kinetrol package gave them better control in a package that was much easier to service.